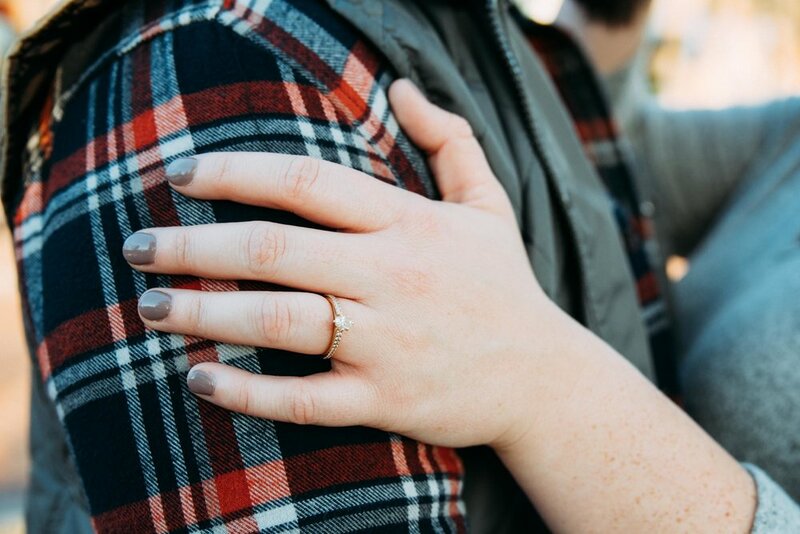 Jess & Jeremy had the most perfect fall day for their engagement session! 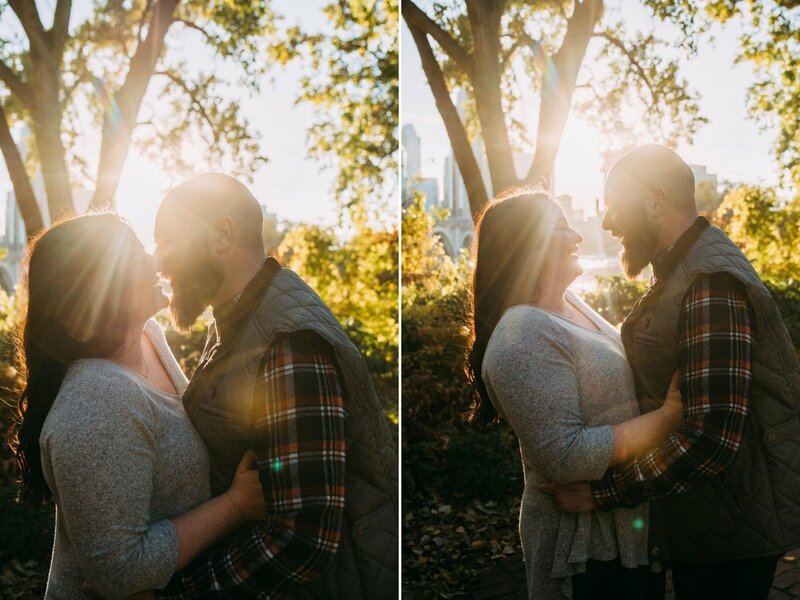 After a drizzly, dreary October, to have a day with such beautiful sunshine was an exciting surprise for their session! 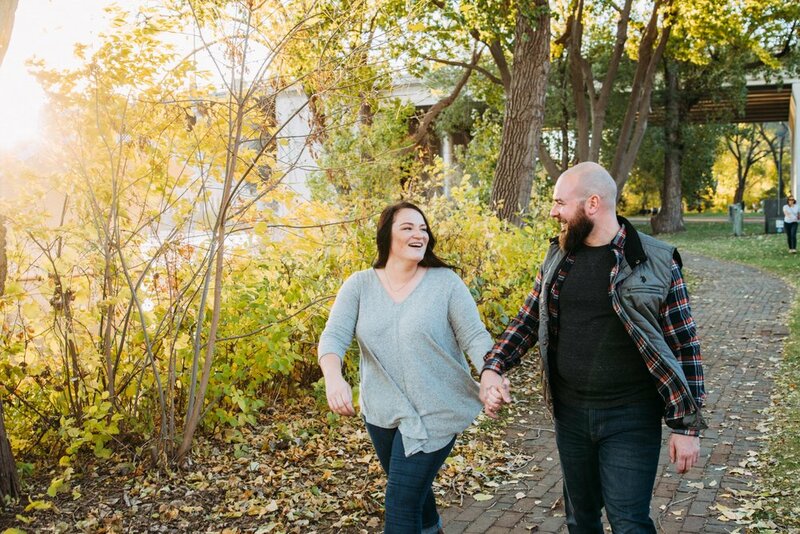 We’ve done a lot of engagement sessions in the St. Anthony Main area of Minneapolis lately. Each session, we try to find somewhere new to take our couples so that their session isn’t a cookie cutter of the session before it! 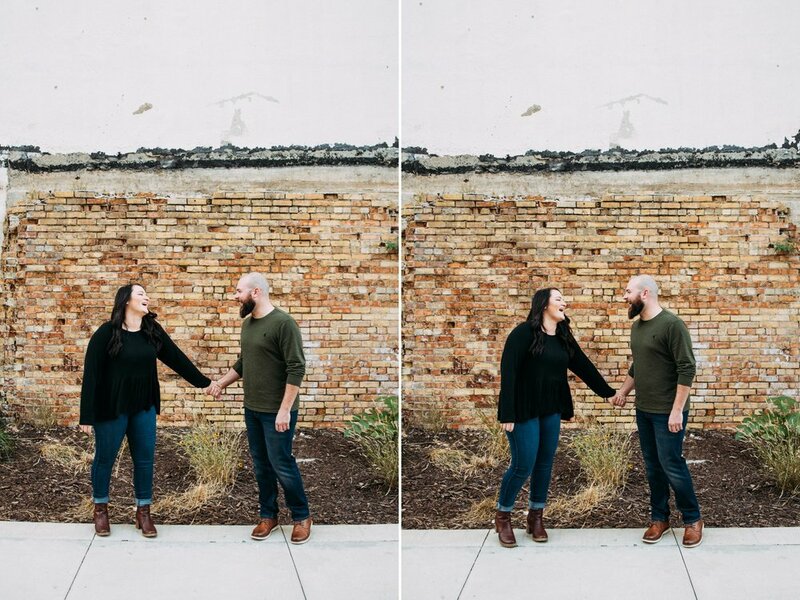 The old mills are one of our favorite areas to bring couples to for their photos! On this particular day, we snuck out of the sunshine to the shadows and wind of this area, which led to some cute cuddly photos of them! Jess & Jeremy will be tying the knot this coming June! 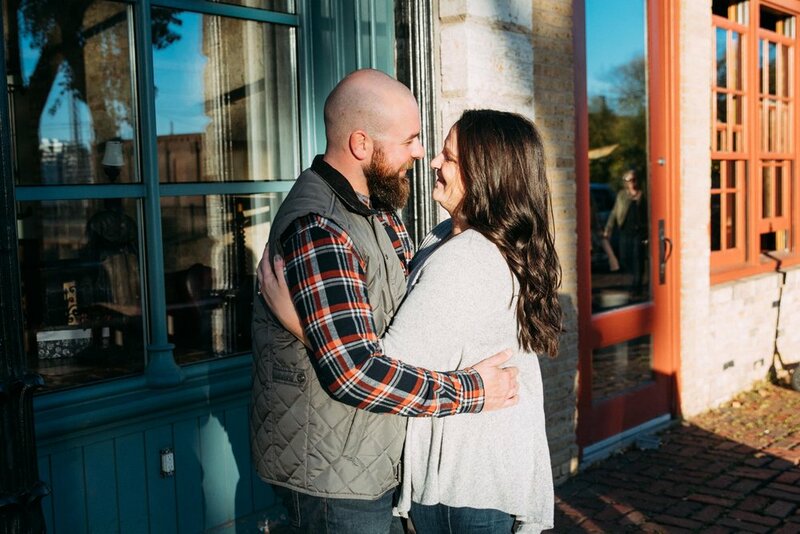 We’re excited to capture their day and their beautiful connection!